1st 5 Pages Writing Workshop: Free First 5 Pages Workshop Opens Saturday, June 6! Free First 5 Pages Workshop Opens Saturday, June 6! The First Five Pages May Workshop has come to an end. The participants worked so hard, and did a great job with their revisions. A big thanks to our guest mentor, Diana Renn, and our guest editor, Georgia McBride, both of whom provided terrific comments and suggestions, and of course to all of our fabulous permanent mentors! Our June workshop will open for entries at noon, EST, on Saturday June 6, 2015. We'll take the first five Middle Grade, Young Adult, or New Adult entries that meet all guidelines and formatting requirements. Click here to get the rules. I will post when it opens and closes on Adventures in YA Publishing and on twitter (@etcashman), with the hashtag #1st5pages. In addition to our talented permanent mentors, we have Shaun Hutchinson, author of The Deathday Letter, fml, and The Five Stages of Andrew Brawley. And we have Tina Schwartz as our guest agent, founder of The Purcell Agency. So get those pages ready! Shaun is a major geek and all about nerdy shenanigans. 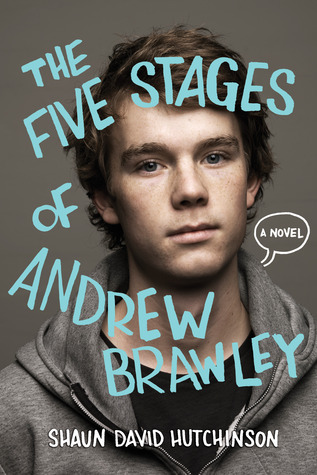 He is the author of The Deathday Letter, fml, and The Five Stages of Andrew Brawley. He currently lives in South Florida with his partner and dog and watches way too much Doctor Who. Agent Tina P. Schwartz, founder of The Purcell Agency , admits to being a reluctant reader as a child. In fact, she says she is still very picky when it comes to choosing a book. When not reading manuscripts, marketing website, social media, or industry blogs, you can find Schwartz on her laptop enjoying her own writing time. Tina is an active member of the Society of Children's Book Writers & Illustrators (SCBWI), and is the Co-Rep for her local chapter.